In 2017 we are offering 3 Service Options for your pond and waterfall maintenance. Choose the Service Option that best fits your needs and fill out the information. The prices below include both of your water features. If you would like pricing on only one of your features, please call or email us and let us know what you are interested in. 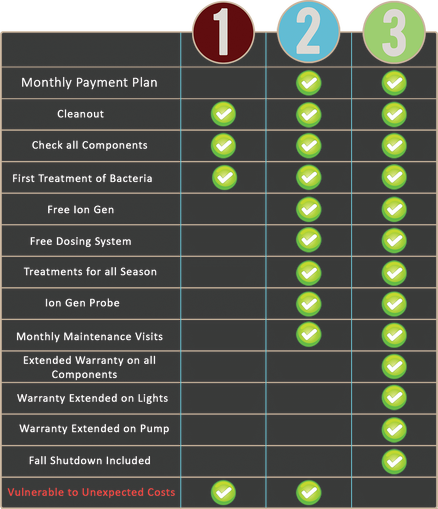 ​Includes Spring Cleanout and WQM Program as well as a full Extended Warranty on all components in your water feature.